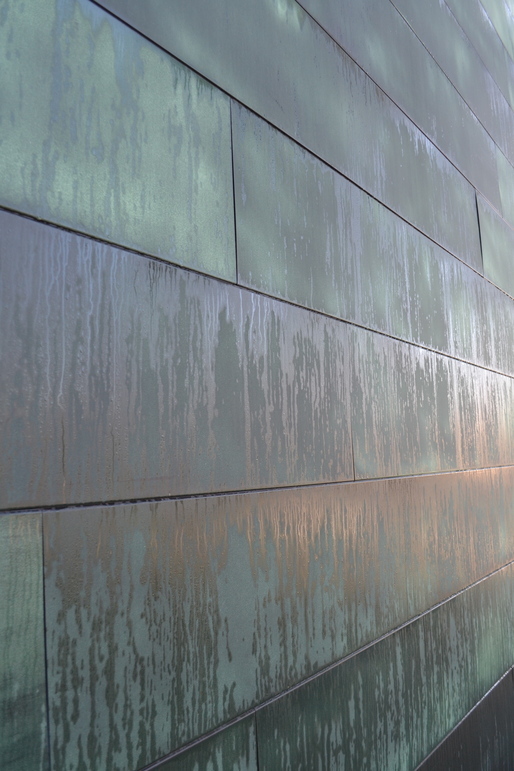 The more projects I visit, the more aware I become of the limitations of the camera. 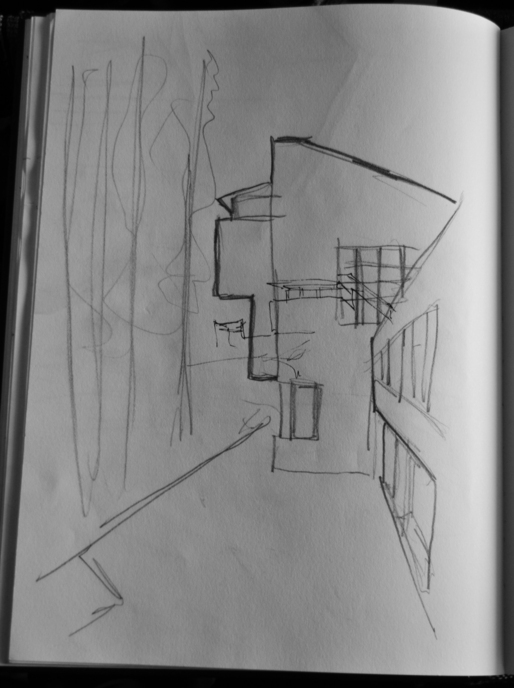 Above is a sketch from a visit to Alvar Aalto's Säynätsalo Town Hall. Getting out of the van and starting to walk around, I finally decided to do some sketching on site instead of trying to take really good pictures. I started thinking about my interaction with drawing over the last several years. When I studied abroad with Bill Tate for a summer in Vienna, we took with us 10 rolls of Ilford HP5 black & white film, and stocked up on drawing supplies in Vienna. For 5 weeks we lived out of our sketchbooks. While I appreciate the photos I took during that time, the drawings are a more personal record. With the camera, you control two variables : what is in the frame and how much light reaches the film (more likely the image sensor). More often than not, the photos I think will be interesting turn out blah while the ones I don't remember taking are great. With drawing, you have a more concious editorial role. In Juhani Pallasmaa's essays, he describes the eye as a scanning mechanism. Therefore it's possible to stand in the middle of a room with your head completely still and draw more than half of it by tracing its perimeter with your eye. With quick sketches, you include only what is important while the rest gets omitted. This recording of your impression is personal in that it embodies your subconcious critique of the space. Of course there are things that are best captured with the camera, at least if you are on a quick visit. Below, for example is Laajasalo Church by Kari Järvinen and Merja Nieminen . 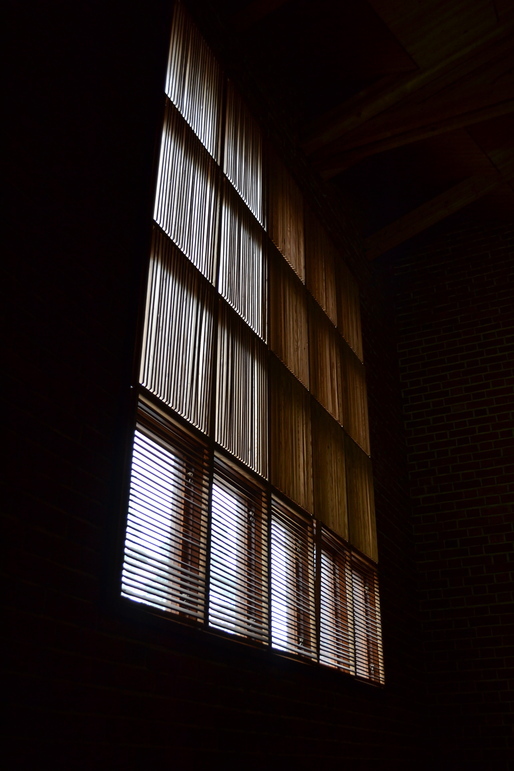 The filtering of light through the shades of Säynätsalo Town Hall is something best left to the camera for someone with my attention span. The current role of drawing in architecture is something I think we're all confused by; a good example is the recent Is Drawing Dead? symposium. The way we think, even the way we draw has been affected by the computer. 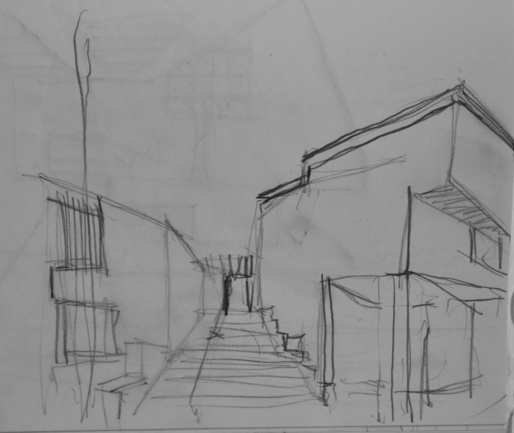 But there is something intuitive about drawing or building a sketch model. Unlike working in the gravity-free, hyper-precise world of 3d digital environments, the feedback loop between pencil, paper, eye, and brain is a place where improvisation happens. Perhaps sketching on location is archaic, but I can't think of a better way to personally connect with a building, space, or place. We are two MArch students from Washington University St Louis who are traveling for a semester abroad to Helsinki, the arctic circle, and Baltic region. Helsinki is currently the 2012 design capital and we are getting to participate in extensive design related seminars and events that we wish to blog about. We are interested in using this blog to share/explore ideas and experiences about design, art, architecture and culture as we experience it.